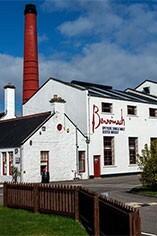 Benromach Distillery is located on the outskirts of the ancient market town of Forres in Speyside. 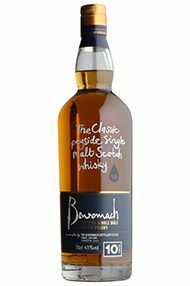 This small and almost lost distillery produces a range of single malt whiskies that include Benromach Traditional -matured 5 ½ years in Bourbon (80% ) and Sherry casks (20%) and Benromach Organic. 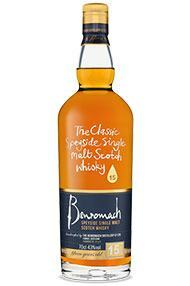 In 1983 Benromach was closed by its then owners United Distillers. In 1993 Gordon & MacPhail, the Elgin-based whisky merchants and bottlers acquired the distillery and completely renovated its facilities. 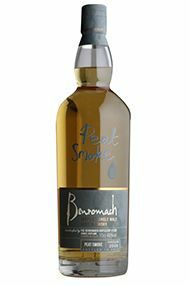 Beautifully balanced sherry aromas with vanilla pod, zesty orange and spicy ginger complemented by delicate chamomile and menthol notes. There’s luscious, rich fruit cake with stewed plum, red apple skin and the sharp edge of kiwi fruit.